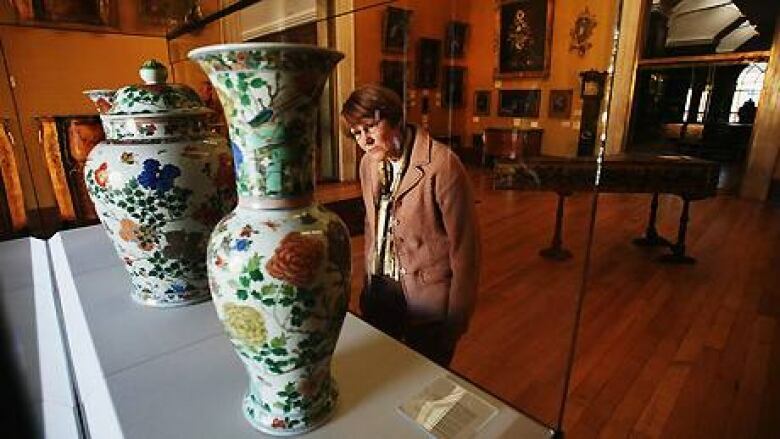 British police have arrested two suspects in conjunction with the recent theft of 18 rare Chinese artifacts from the Fitzwilliam Museum at the University of Cambridge. "Officers from Cambridgeshire, along with officers from the Metropolitan Police, carried out two warrants at addresses in London," according to a police statement issued Wednesday. Later Wednesday, British police announced four arrests in connection with another theft of Chinese artifacts from a university museum. Officers arrested two men and two women in the town of Walsall. 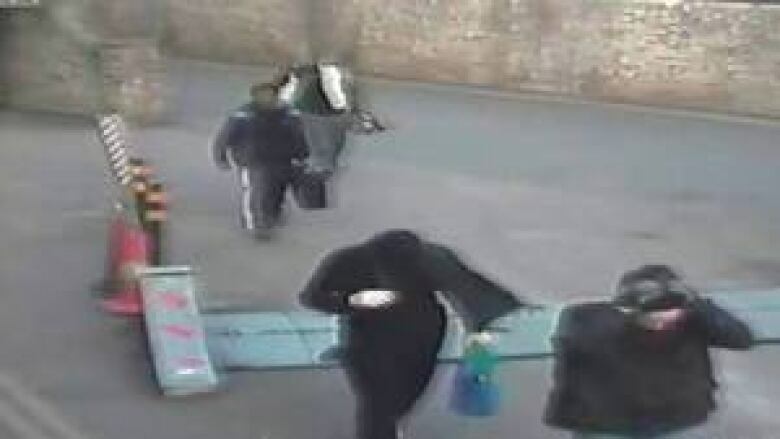 The suspects are believed to be connected with the April 5 theft of a valuable jade bowl and a porcelain figurine from Durham University's Oriental Museum. One more person is sought in the Durham case. It wasn't immediately clear whether the Durham and Cambridgeshire thefts were related. "Both men are currently on their way to Cambridgeshire." On the evening of April 13, robbers snatched 18 valuable, mostly jade, artifacts — including a Ming jade cup dating from the 14th century — from the museum. The Fitzwilliam features a wide-ranging collection of artwork and antiquities from various civilizations and centuries. The stolen pieces had been given as gifts or bequests to the museum, with some experts estimating the artifacts to be worth approximately £18 million (about $28.7 million Cdn). None of the artifacts has been recovered. Police sought help from the public through a segment on the BBC-TV program Crimewatch on Tuesday evening. The show aired closed-circuit camera footage of four suspects sought in conjunction with the robbery. After the televised appeal, the authorities received a number of telephone calls with tips, police said. "There was a significant response to the appeal, but it is going to take time to work through inquiries," said Det. Chief Insp. Jim McCrorie, who appeared on Crimewatch. Police are continuing the investigation, including searching other London addresses, looking for a white Volkswagen van captured on the CCTV footage and tracking down the stolen artifacts themselves.